In a contest, students of Newport Middle High School in Concord, New Hampshire won because they found “New Hampshire’s Dumbest Law”. Yes, this is a legitimate contest. In Night. If any person shall carry away or collect for the purpose of carrying away any seaweed or rockweed from the seashore below high-water mark, between daylight in the evening and daylight in the morning, he shall be guilty of a violation. Why did this ban exist? According to Hampton Library, farmers once hauled seaweed from the beaches to use as fertilizer on their crops. In the 1700s, a town ordinance was put in place to ban this practice from occurring at night. The reasoning behind it was to possibly “give everyone an equal chance to harvest” the seaweed, as stated by the library website. New Hampshire has some other weird laws still in place. One interesting law is that it is illegal to book a hotel under an assumed or fictitious name. Another odd law in New Hampshire is that you may not run machinery on Sundays. Obviously this ban is not actively practiced by the common public in this day in age, but it’s still found in the New Hampshire law books. 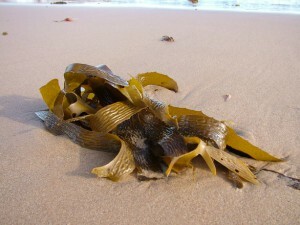 Republican Representative Max Abramson filed for the seaweed bill to be repealed, and even stated he didn’t know why this ban existed in the first place. Instead of adding in more bills to the system, New Hampshire lawmakers found this contest to be beneficial to rid the system of meaningless laws of the past.